Israeli-founded ride-sharing startup Via will make its Tel Aviv debut next year as part of a joint pilot program with the Dan bus company, bringing its smart public transport system to Israel’s congested financial and business capital. Via and Dan will operate a fleet of on-demand mini-buses in the greater Tel Aviv area which users will be able to order through the Via app, the company said in a statement this week. Founded in 2012 by Israeli entrepreneurs Daniel Ramot and Oren Shoval, Via developed an algorithm that matches, in real time, multiple passengers traveling in the same direction with a single large SUV or van. The vehicle picks up the passengers at a pre-arranged collection point – a so-called virtual bus stop – set according to traffic conditions and demand. Users are able to track the arrival time to the collection point as well as the destination through the app, which uses artificial intelligence and machine learning to map out the most efficient routes. To ensure minimal delays caused by rerouting, the application uses an algorithm that may ask its users to walk a short distance from their points of origin or destination. Gone are the rigid routes and schedules. Via’s service, Ride with Via, first launched in New York in 2013 and is available in 40 cities worldwide through public and private partnerships, according to a company statement, including Chicago, Arlington, London, Sydney, Paris, Amsterdam, Berlin, and Tokyo. In Europe, Via operates through its joint venture with Mercedes-Benz Vans, ViaVan. Via says it has powered more than 35 million shared rides globally so far. Via also licenses its technology to public transportation agencies, private transit operators, taxi fleets, private companies, and universities, to integrate with public transit infrastructure and provide on-demand mobility innovation. “Via’s powerful technology is seamlessly integrating with public transit infrastructure around the globe, redefining the way people get around cities,” Ramot has said. “By grouping multiple passengers into a single shared vehicle, Via reduces congestion and emissions, providing an inexpensive, eco-friendly, and convenient transportation alternative, the company said in a previous statement announcing its launch last month in Arlington County, Virginia to expand its Washington DC service. In large cities, especially in the United States, commuters often drive to work alone, Shoval explained in a TEDx Talk in Jaffa last year. According to Shoval, this leaves many seats empty on each vehicle, resulting in a significant amount of wasted space, which is a root cause of traffic congestions and energy waste. Allowing multiple riders to share the same ride minimizes the total number of vehicles needed to transport individuals from home to work and back, and saves the total number of trips required, reducing traffic in urban areas. The pilot in Tel Aviv, already home to mini-buses locally dubbed “sheruts” which serves as the initial inspiration for Via, was initiated by the Israeli Ministry of Transport and Ministry of Finance, and will launch in early 2019. Shoval and Ramot met in the Israeli military where they both had plans to found a startup following their mandatory service, Ramot told Leaders Magazine in an interview. After brainstorming a few ideas, Shoval came back with an idea based on Israel’s existing, albeit more rigid, ride-sharing service, the “sherut” (literally, “service” in Hebrew). In Israel, these privately owned vehicles offer carpool services for passengers, picking up and dropping off passengers at flexible locations along a fixed route. 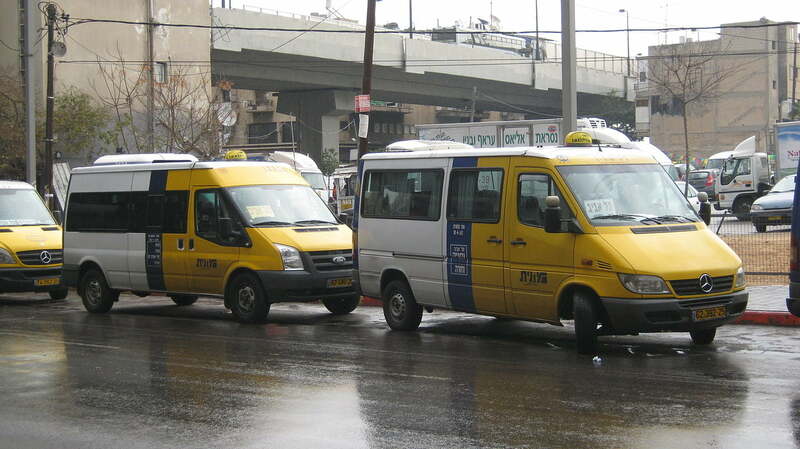 Known to locals as a vital supplement to existing public transportation, sherut taxis provide a more flexible alternative to public buses at a slightly higher but still reasonable price. Furthermore, these shared rides operate on Fridays and Saturdays when other forms of public transportation are not in service in Israel during Shabbat. Similar to sherut taxis, Ramot said Via targets “the gap between outdated public transportation and expensive luxury car services.” However, what sets Via vans and sherut taxis apart is the technology. Sherut taxis run independently without inter-vehicle coordination on fixed routes where Via uses dynamic routing based on the passengers’ locations and destinations and assigns the most convenient vehicle to the rider. Other ridesharing companies such as Lyft and Uber are Via’s largest rivals. In London, ViaVan faces competition from Uber Pool, a similar ridesharing service provided by on-demand taxi company Uber. But whereas other ride-hailing platforms offer a variety of services including private taxis, Via differentiates itself in focusing exclusively on ride-sharing. This allows the company to dedicate all its resources to improving the effectiveness of its routing algorithms. “As our service reaches scale, we can see a dramatic rise in the number of rides being served without requiring a corresponding increase in the number of vehicles needed,” Ramot said in a 2016 interview with Hearst. 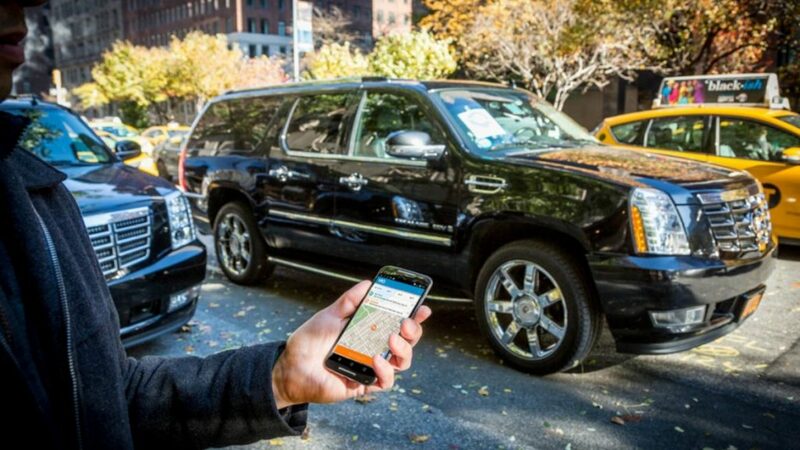 Furthermore, unlike Uber or Lyft which pick up and drop customers at precisely inputted points, Via uses approximate locations where passengers may be required to walk a block or two before and after using the service. This decreases the time lost due to rerouting to match each traveler’s specific demand, increasing the overall transportation efficiency. Currently, Crunchbase indicates that Via has raised a total of nearly $400 million for its development. Its latest investments include $70 million from Pitango Growth and $250 million from Daimler, the parent company of Mercedes-Benz, to pioneer the ridesharing technology in Europe. Via is constantly refining its models to improve its algorithms in order to minimize rerouting delays and give passengers the most expedited transportation. It’s also constantly expanding and nabbing new partners. This month, Via announced a strategic partnership with Israeli company Taboola to deliver Taboola News, a personalized platform for news content, directly to consumers through Via’s app. Amid the expansion, the company hopes to maintain reasonable fares and realize profits through economies of scale, Ramot told TechCrunch. In Arlington, Texas, for example, where the service is subsidized by the government, the rides are offered at a fixed rate of $3 no matter what time of day and distance.